Microsoft released Exchange 2010 SP3 RU10 on June 16, and if you have any Exchange 2010 servers in your environment, that means it’s time once again for patching. You can download RU10 from http://www.microsoft.com/downloads/details.aspx?FamilyID=b53ec00d-e451-43f2-a39a-dae520274796, but before you do, there are some things you should know about it. Here’s our list! This is the last RU for Exchange 2010! I know, it seems like only yesterday that we had to learn the five different roles of Exchange 2010, but it’s been five long years, and with this RU, Exchange 2010 is now officially in extended support. Yes, there will be another five years of security updates, but those will be released as needed. Updates for issues, bugs, etc. will be no more, so this is your last RU to get current on 2010. If you installed any interim updates (IUs) on your Exchange servers, you need to remove them before proceeding. If you do not, installation will be blocked. Go into Control Panel, launch Programs and Features, search for any installed IUs, which will show in the list as “Interim Update for Exchange…” and remove them. As with most updates, the install will want to check the digital signature of the file before deployment. If you’re in a tinfoil lined environment, you should have your servers running through a proxy and permit access to CRL endpoints, like Microsoft’s at http://crl.microsoft.com/pki/crl/products/CodeSigPCA.crl. But if the paranoia dial in your environment is up to 11, and you cannot let the Exchange servers validate the signatures on files – which to me is a greater security concern than letting them hit the Internet through a proxy, – then you need to disable checking for publisher’s certificate revocation before the install. 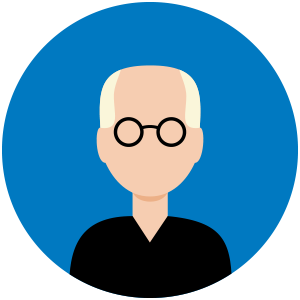 If you have customized your Outlook Web App files, such as logon.aspx, make a backup copy as this RU will overwrite those files. You can copy your custom files back after the install is done. If you are doing CAS-CAS proxying, update the Internet facing CAS first. Otherwise, patch from the outside in, so Edge, then CAS, then Hub Transport, then Mailbox and UM. 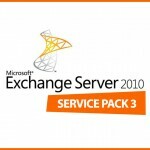 If you’re running Exchange 2010 on Server 2012, you’re up for a challenge aren’t you? Set your default language to English (US) before beginning the install. You can set it back after reboot. A few things actually, but all are bugs. There’s no security updates in RU10. That doesn’t mean you can skip it though. Remember, to be in a supported configuration, you should be in N or N-1, and since this is the last RU for Exchange 2010, there is no 11. With 2010 in extended support and Exchange 2016 around the corner, Exchange 2010 admins should be considering their plans to upgrade to 2013 or move to 2016. The public beta is almost upon us, and 2016 will be released hopefully before the end of the year, so while it is important to get this RU deployed, it is also important to start thinking about what you are going to do next. The good news is that 2016 can coexist with 2010, so you don’t have to jump to 2013 as an interim step. Of course, if you still have 2007 servers out there, that’s a problem for you and it might make sense to jump here for more information!